SOME pretty unusual stuff have come out of Detroit — Chevrolet’s Corvair is an example of this. And then there are the genuine oddities like the AMC Gremlin and Pontiac Aztek. 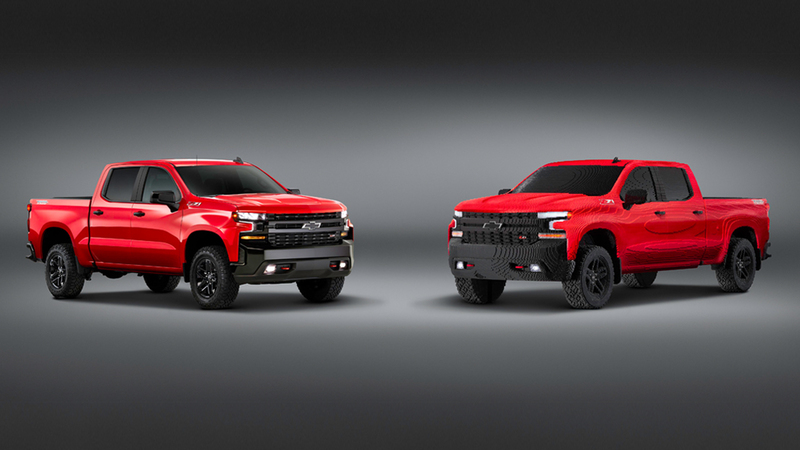 Now, one of the creations Chevrolet brought out at this year’s ongoing edition of the Detroit auto show (or the North American International Auto Show) may well just turn out to be the bowtie brand’s and the Motor City’s most playful to date. 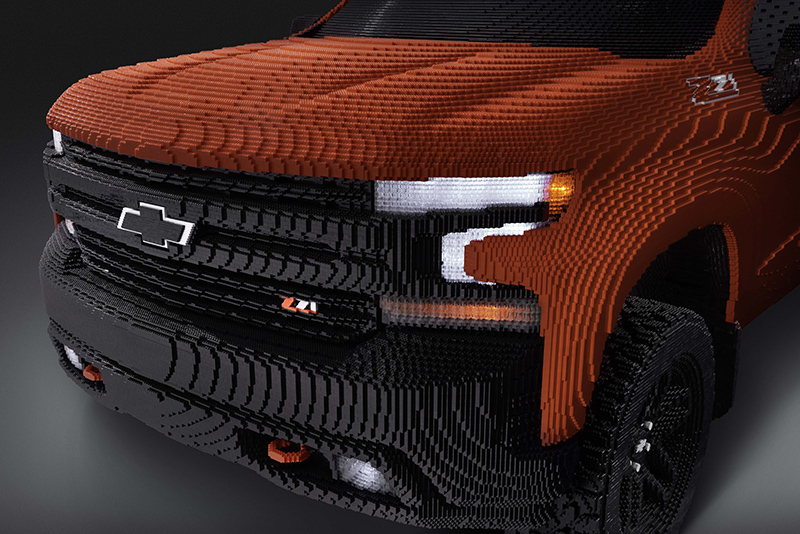 It’s the all-new 2019 Silverado 1500 LT Trail Boss, and it is the first full-size Chevrolet built entirely out of Lego bricks. All right, it’s only a replica. But it’s a life-sized one which took 18 specially trained Lego Master Builders more than 2,000 hours selecting, piece by tiny piece, and then putting together each of the 334,544 bricks forming the truck. Built at the Lego Group’s Model Shop in Enfield, Connecticut, the Lego Silverado stands six feet high, is 20 feet long and eight feet wide, and weighs 3,307 pounds. The thing even has working lights and other graphic details. The chunk of its parts is composed of red 2×8 stud Lego bricks. 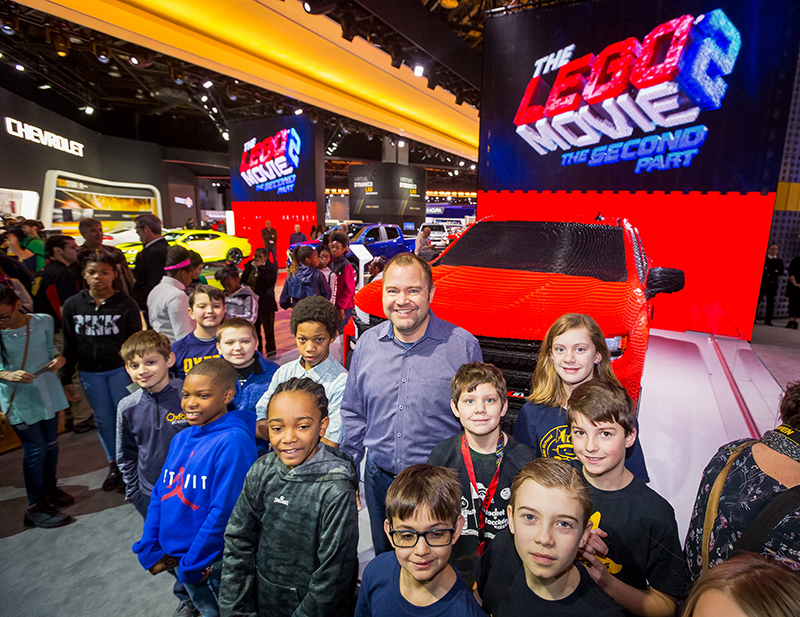 Modeled after the new Silverado that was launched earlier this year, the Lego pickup comes out of a partnership between Chevrolet and Warner Bros. Pictures, whose “The Lego Movie 2: The Second Part” is set to hit theaters on February 8. The deal extends the two companies’ involvement that began in 2017 with “The Lego Batman Movie,” which featured the Lego Batmobile from Chevy. An animated Silverado High Country will make an appearance in the new Lego flick. The sequel finds the movie’s heroes reuniting to save their beloved city from a new threat — the Lego Duplo invaders from space. Well, they surely could count on the Silverado, which is built like a brick.